Thank you for your interest in employment at the USS Midway Museum. A unique work environment that emphasizes self-starters, fun, inspiration, service to country and a work/life balance. The USS Midway Museum is an Equal Opportunity Employer. Employment is subject to a criminal background check. Due to the high number of responses, only applicants selected for an interview will be contacted. No phone calls or emails please. Click the available positions below for a full description of this opportunity. Are you upbeat, positive, reliable and have a passion for people? Are you looking for a job in a unique and fun environment? 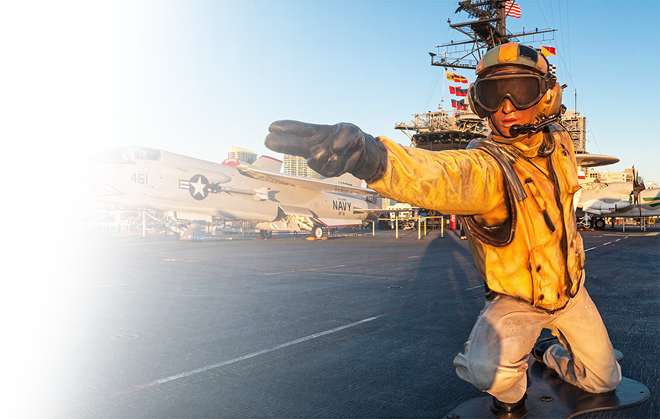 The most visited aircraft carrier museum, the USS Midway Museum, is looking for a hands-on front line lead to work alongside our guest services representatives to deliver exceptional customer service. Starting shift hours traditionally fall between 8:30am and 9:00am, with an ending time between 5:00pm and 5:30pm. As a Guest Services Lead, the most important task you will perform is to pro-actively engage our guests, staff and volunteers, to assure the most positive Midway experience possible. Motivate, coach, inspire and train GS staff/volunteers to deliver proactive, friendly service that exceeds our guests’ expectations. Insure GS staff/volunteers have all the tools, supplies, and information they need to best serve our guests. Responsible for working across departments to ensure a seamless delivery of the guest experience. Prepare workstation search morning for museum operations. Assign staff positions for the day by preparing a rotation schedule (including the management of breaks/lunches). Brief staff on daily responsibilities. Oversee areas managed by Guest Services during hours of operation, assuring the best guest experience is provided. Hangar Deck Entrance: Greet guests as they enter the Hangar Deck and direct them to Audio Tour line. Audio Tour Distribution: Ensure guests receive their audio tour equipment and understand how to use it. Audio Tour Return: Guests turns in their audio equipment and are thanked for visiting as they leave. Battle of the Midway Theater: Introduce the Battle of the Midway movie and its importance to Midway History. Manage end of day responsibilities, securing work areas and equipment. Assist in training new hires with direction from the Guest Services Manager. Assist in scheduling with direction from the Guest Services Manager. A minimum of 1-2 years customer service and supervisory experience required. Must be friendly, personable and comfortable engaging with guests. Ability to mentor/coach/inspire front-line hourly employees to deliver an outstanding guest experience. Ability to lead collaborations with multiple parties and leadership skills to inspire, motivate, and gain trust from staff, partners, vendors, etc. Reliable and dependable: an ability to report to work on time as scheduled. Demonstrates flexibility and good judgment in providing guests an exceptional experience. 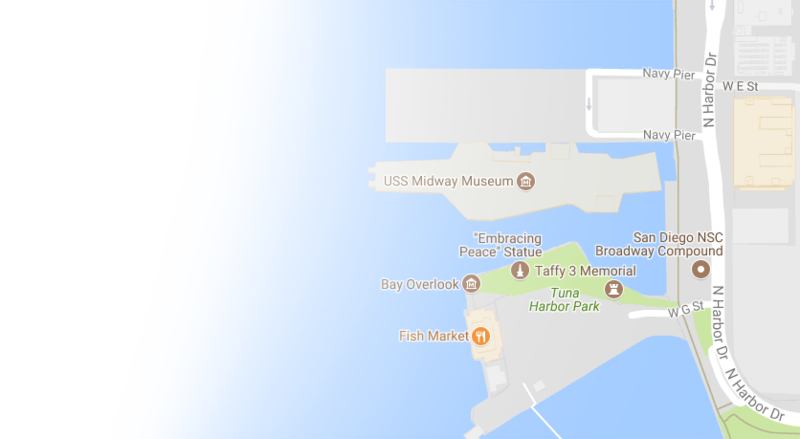 Job Conditions/Work Location: Working onboard a former Navy Aircraft Carrier in all weather conditions, indoor and outdoor. Physical Requirements: Stretching and bending are moves commonly made throughout the day by employees working in this position. Frequent lifting, carrying, transporting, loading and unloading Audio equipment. Walking long distances, frequent twisting, bending and stooping, and standing for long periods of time. Schedule: 40 hours per week, shifts vary, must be able to work nights & weekends! POSITION REQUIRES RELIABLE TRANSPORTATION TO ACCOMMODATE LATE NIGHT/EARLY MORNING HOURS!! MUST BE AVAILABLE TO WORK A SCHEDULE that WILL INCLUDE WEEKENDS, EVENINGS AND HOLIDAYS. Clean and sanitize restrooms, using cleansers, solvents, soap solutions, and polishes. Clean, dust, and wipe furniture; sweep, mop, or vacuum floors; empty/clean wastebaskets and trash containers; refill restroom dispensers. Use and maintain assigned power equipment and hand tools; buffers, vacuums, brooms and mops for cleaning and general maintenance of floors, walls, carpets, equipment, etc. Prior experience in custodial maintenance or a related field. Team player – ready and willing to help wherever needed or assigned. Ability to operate and use small power/hand tools. Ability to deal effectively with deadlines and time pressures. Job Conditions/Work Location: Work is performed on board an aircraft carrier. Shifts vary and require ability to work nights and weekends. Physical Requirements: Constant climbing up/down stairs and ladders; bend stoop, and lift to move and retrieve materials; pull/push lift, and carry up to 40 pounds; reach both above and below shoulder height. Equipment Operated: Small power tools, buffer/scrubber, and janitorial equipment. 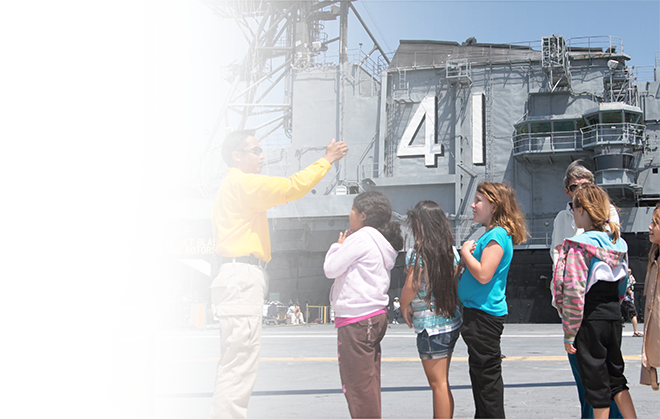 The USS Midway Safety and Security team has a part-time opportunity available. The Safety Specialist is responsible for providing support to the Safety Team on weekends and nights for designated events, operations and/or early morning hours to oversee contractor access and construction operations. The Safety Specialist will be expected work weekends and evenings on a regular basis, but schedule may vary with the departments need. Ability to work on a flexible changing schedule is important. Candidates must be able to pass a Live Scan Background Check. Responsible for working across departments to ensure safety and security needs are met. Operate alarm and monitoring systems. High school or equivalent education required. Bachelor degree preferred. Two years in a security, policy or military job that required knowledge of patrol, situational awareness is desirable. Relevant experience in the tourism/hospitality/attraction industry a plus. Strong knowledge of security work around large crowds and special events preferred. Ability to interact with a wide variety of individuals in a professional manner. First Aid Card (Red Cross) a plus. Job Conditions/Work Location: Working onboard a former Navy Aircraft Carrier in all weather conditions. Physical Requirements: Stretching and bending are moves commonly made throughout the day by employees working in this position. Walking long distances and standing for long periods of time. Constant climbing up/down stairs and ladders; bend stoop, and lift to move and retrieve materials; pull/push lift, and carry up to 40 pounds; reach both above and below shoulder height. Equipment Operated: Computer, facsimile, printer, scanner, telephone, handheld radios. Are you upbeat, positive, reliable and have a passion for people? Are you looking for a job in a unique and fun environment? 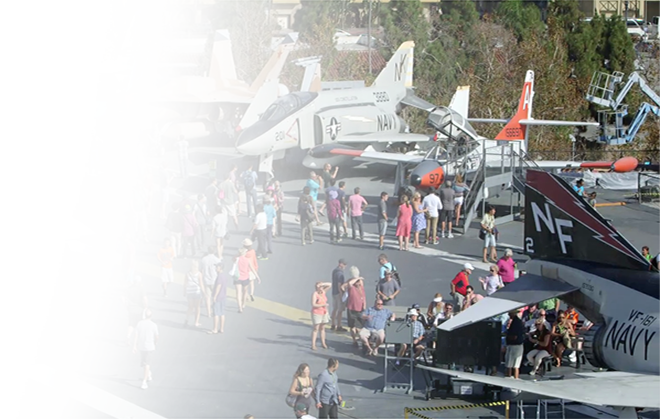 The most visited aircraft carrier museum, the USS Midway Museum, is looking for part-time café associates to provide our guests with friendly, engaging and efficient service during their food/beverage purchase. Schedule: 20 – 30 hours per week, 3-4 days weekly between 8:00 am and 5:30 pm. **Weekend availability is required along with weekday availability. Prior experience in customer service required! Enthusiastically greet guests at café cashier station. Ensures guests have all food/drink items they need – assist in selection of food/beverage products if required. Accurately enter food/beverage purchases into POS. Provide accurate change and/or receipt for purchases. Assist café supervisor and café staff with maintaining adequate product supply levels on hand. Stock and replenish food and beverage inventory. Replenish condiment and supply station when needed. Be knowledgeable of all café product and programs and facilities onboard. Respond to inquiries with information/suggestions to enhance guests visit. Assist with maintaining overall cleanliness of café area. Reliable and dependable: ability to report to work on time as scheduled. Job Conditions/Work Location: : Work is performed in a hangar and flight deck on board an aircraft carrier with exposure to elements. Work schedule includes weekends and holidays. Five days per week. Physical Requirements: Constant climbing up/down stairs and ladders; bend stoop, and lift to move and retrieve materials; frequent lifting, carrying, transporting, loading and unloading food and beverage product. Walking long distances and standing for long periods of time. Must be able to pull/push lift, and carry up to 35 pounds; reach both above and below shoulder height. Equipment Operated: Computer (Microsoft Office Email, Word, Excel, etc. ), printers, fax machine, telephone, copier, point of sale system, motorized pallet jack. The USS Midway Museum is seeking a ship/maritime electrical systems technician with a minimum of 10 years of experience in maritime and industrial electrical systems. In addition to requirements listed below, candidates should also be interested in working in a highly collaborative fun and customer focused environment, appreciate volunteer service, enjoy problem-solving and be passionate about making an impact at work. A relatively young and small organization, the Midway provides an excellent opportunity for staff to experience ownership of their work and see immediate results of their efforts while also enjoying a balanced work/life. The Ships Engineering Department Electrical Technician will be a USS MIDWAY Electrical Technical Subject Matter Expert/POC for ship-wide electrical systems, ranging from high voltage systems (440, 220) supporting aircraft elevators, ship lighting, high voltage power load centers to simple 110 systems (lighting, plug outlets). SThe schedule is primarily second shift and weekends. Support/work with other ship electricians to maintain internal and external lighting. This includes coordination with events and event power set-up with outside vendors. Internal and external lighting or associated amplified power support. Prior experience with convention or public venues requiring power to caterers, hotels and concert support companies strongly desired. Support/work with ship electricians to trouble shoot/repair critical points of electrical distribution throughout the ship (switchboards, transformers, fuses and wiring). Support engineering staff when operating/troubleshooting power to ship aircraft elevators, cargo dumbwaiter elevator, passenger elevators and magazine weapons elevators. Understand USS MIDWAY unique electrical system and coordinate efforts when contractors are an onboard installing a new electrical system, modifying existing systems or troubleshooting and repairing degraded systems. High School diploma or G.E.D. required. College degree strongly desired. Marine journeyman, Navy Electrician’s Mate, utility plant electrician. 10 or more years of experience and qualifications in maritime and industrial electrical systems, procedural compliance and safety requirements in a high voltage electricity and handling of hazardous material and power supplies. Knowledge in ship/maritime electrical systems that are built into hull structures, compartments, engineering systems, structural design and equipment. 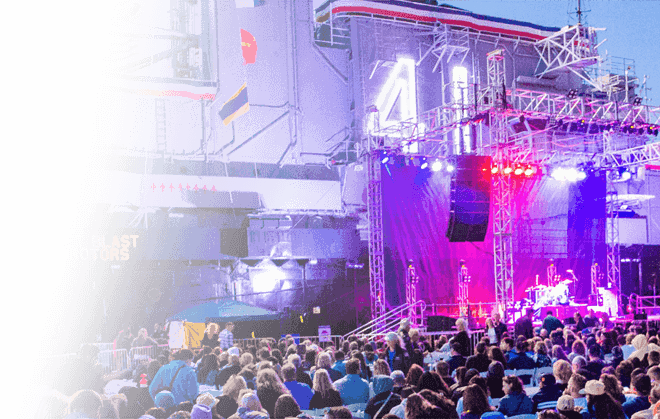 Technical knowledge and ability to read ships electrical drawings, one lines, schematics, wiring diagrams, diesel generators, fire/smoke control systems, analyze new construction loads that will be connected to existing original systems onboard USS MIDWAY. Meticulous ship repair skills. Computer skills to include proficiency in MS Office applications, including Word, Excel, Outlook. Strong written and verbal communication skills. Can create clear and concise instructions as well as provide clear and detailed guidance to subordinates. Self-motivated and problem solve without supervision. Exercise outstanding initiative. Team player – ready and willing to help wherever needed or assigned. Can provide constructive feedback in a calm and factual manner to senior leadership/management. Demonstrates an organizational fit for the company culture. Be trustworthy to handle high value equipment and highly valuable recyclable material. Physical Requirements: Constant climbing up/down stairs and ladders up to 200ft elevation; work in small places i.e. tanks and voids, bend stoop, and lift to move and retrieve materials; pull/push lift, and carry up to 40 pounds; reach both above and below shoulder height. Equipment Operated: Aircraft elevator, fork lift, man lift, buffer/scrubber, pallet jack, sand blaster, small power tools and janitorial equipment. 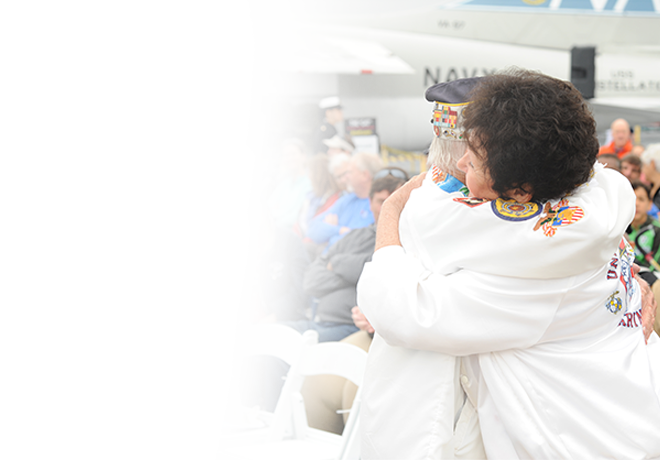 USS Midway Museum participates in the Electronic Employment Eligibility Verification Program.